Match ends, Boston Breakers 0, Chicago Red Stars 1. Second Half ends, Boston Breakers 0, Chicago Red Stars 1. Substitution, Chicago Red Stars. Katie Naughton replaces Vanessa Di Bernardo. Corner, Boston Breakers. Conceded by Danielle Colaprico. Attempt blocked. Kristie Mewis (Boston Breakers) right footed shot from the left side of the box is blocked. Substitution, Boston Breakers. Elise Kreighoff replaces Angela Salem. Corner, Chicago Red Stars. Conceded by Katie Schoepfer. Corner, Chicago Red Stars. Conceded by Libby Stout. Attempt saved. Christen Press (Chicago Red Stars) right footed shot from outside the box is saved in the bottom left corner. Assisted by Vanessa Di Bernardo. Corner, Boston Breakers. Conceded by Arin Gilliland. Mollie Pathman (Boston Breakers) wins a free kick on the left wing. Attempt blocked. Katie Schoepfer (Boston Breakers) header from the centre of the box is blocked. Assisted by Louise Schillgard with a cross. Substitution, Boston Breakers. Katie Schoepfer replaces Kyah Simon. Attempt saved. Christen Press (Chicago Red Stars) right footed shot from outside the box is saved in the centre of the goal. Assisted by Alyssa Mautz. Attempt missed. Sofia Huerta (Chicago Red Stars) right footed shot from the centre of the box is high and wide to the right. Assisted by Christen Press. Goal! Boston Breakers 0, Chicago Red Stars 1. Christen Press (Chicago Red Stars) right footed shot from outside the box to the top left corner following a corner. Corner, Chicago Red Stars. Conceded by Kyah Simon. Attempt blocked. Christen Press (Chicago Red Stars) right footed shot from more than 35 yards is blocked. Attempt missed. Christen Press (Chicago Red Stars) right footed shot from the right side of the box is high and wide to the right. Foul by McCall Zerboni (Boston Breakers). Attempt saved. Jennifer Hoy (Chicago Red Stars) right footed shot from the left side of the box is saved in the centre of the goal. Assisted by Vanessa Di Bernardo with a headed pass. Attempt blocked. Kristie Mewis (Boston Breakers) right footed shot from the centre of the box is blocked. Assisted by Julie King with a cross. Attempt missed. Julie King (Boston Breakers) right footed shot from the centre of the box is close, but misses the top left corner. Assisted by Kristie Mewis. Offside, Chicago Red Stars. Sofia Huerta tries a through ball, but Jennifer Hoy is caught offside. Corner, Boston Breakers. Conceded by Samantha Johnson. Attempt missed. Christen Press (Chicago Red Stars) header from the centre of the box is too high. Assisted by Vanessa Di Bernardo with a cross following a corner. Corner, Chicago Red Stars. Conceded by Angela Salem. Penalty missed! Still Boston Breakers 0, Chicago Red Stars 0. 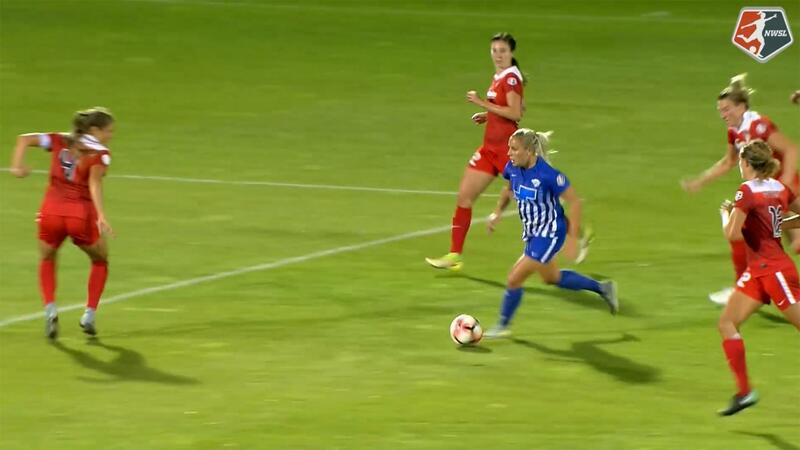 Kristie Mewis (Boston Breakers) hits the right post with a left footed shot. Penalty conceded by Julie Johnston (Chicago Red Stars) after a foul in the penalty area. Penalty Boston Breakers. Kristie Mewis draws a foul in the penalty area. Hand ball by Mollie Pathman (Boston Breakers). Substitution, Boston Breakers. Libby Stout replaces Abby Smith because of an injury. Delay in match Abby Smith (Boston Breakers) because of an injury. Attempt missed. Jennifer Hoy (Chicago Red Stars) right footed shot from outside the box is high and wide to the right. Corner, Chicago Red Stars. Conceded by Kassey Kallman. Attempt blocked. Jennifer Hoy (Chicago Red Stars) right footed shot from the centre of the box is blocked. Assisted by Sofia Huerta. Casey Short (Chicago Red Stars) hits the left post with a right footed shot from outside the box. 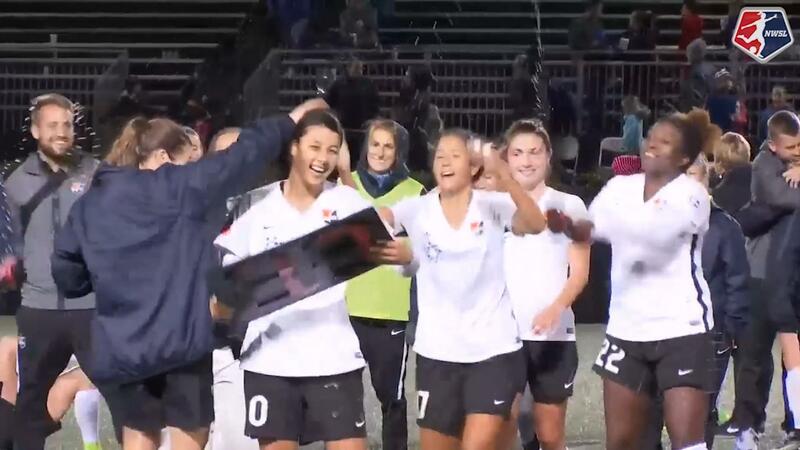 Assisted by Danielle Colaprico. Attempt blocked. Kyah Simon (Boston Breakers) header from very close range is blocked. Assisted by Julie King with a headed pass. Attempt blocked. Kyah Simon (Boston Breakers) header from very close range is blocked. Assisted by Whitney Engen with a headed pass. Corner, Boston Breakers. Conceded by Alyssa Naeher. Attempt saved. Kyah Simon (Boston Breakers) left footed shot from a difficult angle on the left is saved in the centre of the goal. Assisted by Kassey Kallman. 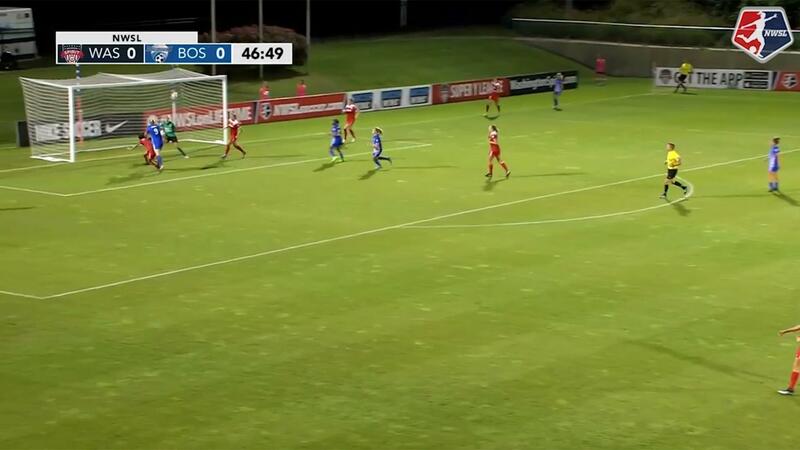 Offside, Boston Breakers. Julie King tries a through ball, but Louise Schillgard is caught offside. Jennifer Hoy (Chicago Red Stars) is shown the yellow card for a bad foul. McCall Zerboni (Boston Breakers) wins a free kick in the defensive half. Attempt missed. Sofia Huerta (Chicago Red Stars) left footed shot from outside the box misses to the left. Attempt saved. Alyssa Mautz (Chicago Red Stars) right footed shot from the centre of the box is saved in the bottom right corner. Assisted by Jennifer Hoy.